We recently hosted Keppel Corp’s CEO on an NDR in the US. We believe the company is a solid long-term investment candidate and is on track to regain shareholders’ trust. We think Keppel Urban Solutions (KUS) could enjoy the same success as Sino-Singapore Tianjin Eco-city (SSTEC), but on a smaller scale, with a faster turnaround time and focused on smart precincts. O&M outlook is positive on sustained high oil price but we do not anticipate V-shape recovery. Operating leverage to improve on leaner operations and lower interest. Keppel Land is a proxy to ride the property cycle in emerging markets, with land bank for 61,000 homes, with ROE target of 12%. We lift our EPS for FY18-20F by 5-10% on higher gains in property. Maintain ADD and SOP-based Target Price at S$10.00. Catalysts are Keppel O&M recovery and special DPS. Capital allocation: Vietnam is a key market for Keppel Corp to deploy capital efficiently as land cost is c.20% of total development costs (Singapore: 60-70%, China: 40-50%). Impact of interest rates on property: management thinks this is not the main determinant of demand in property market but liquidity, employment and economic growth are key in Singapore, Vietnam and China. Keppel O&M outlook and synergies to the group: Positive on recovery but for now focusing on non-drilling orders. Cross-sell opportunities within group include floating data centres. KUS targets 3-5 years for returns on investment (SSTEC: 8 years). Saigon Sports City (0.64km2) is KUS’s pilot smart township (partners: Keppel Land and Microsoft). Other smart cities in the pipeline include Filinvest City in Alabang, a 2.44km2 prime property south of Metro Manila (MOU with Philippines Filinvest for urban solutions). We expect its balance sheet and operating leverage to improve with the receipt of US$288m down payment from Borr Drilling for the recent sale of five jack-up rigs amounting to US$735m. The balance purchase price is payable on delivery of each rig (4Q19 to 4Q20), which should gradually improve operating leverage. Keppel O&M paid c.S$127m financing costs in FY17 (FY16: S$152m). YTD order win of c.S$800m includes the latest two dredgers secured from Van Oord. Our FY18F order win forecast is S$3bn. To date, Keppel Corp has clocked in c.S$320m of property divestment gains from the sale of Keppel Marina Zhongshan and Shenyang. With potential revaluation gains, we believe property ROE could reach 12% for FY18F (vs. CIMB: 9% and Singapore developers’ c.5%). We believe a stronger balance sheet from O&M and property could pave the way for special DPS (8-10Scts) in FY18F (commemorating 50th anniversary in 2018) or dividend yield of c.4.2%, higher than conglomerate and developer peers. 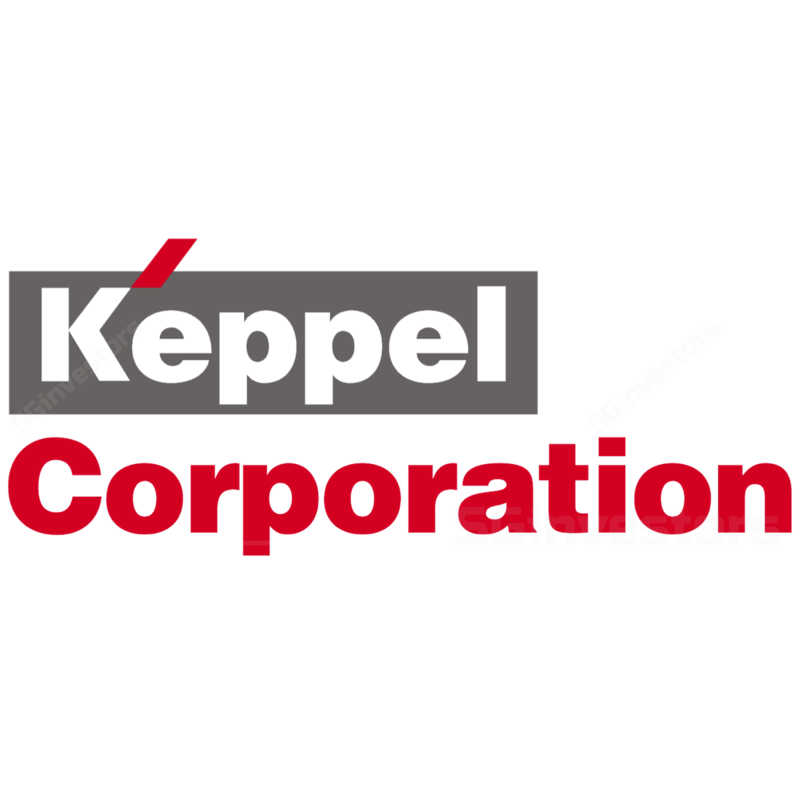 Keppel Corp is our preferred pick in the capital goods sector given its clear earnings growth strategies. Catalysts include stronger-than-expected turnaround in Keppel O&M, divestment gains from asset recycling in property and higher DPS. Key risks include significantly weaker-than-expected orders at Keppel O&M and an unfavourable outcome on the court claim by EIG. Keppel Corp adopts a bottom-up approach and assesses operating risks rather than capital allocation, as one would from a top-down perspective. Having said that, Keppel O&M and Keppel Capital, which are asset-light businesses, do not require much capital and should achieve ROEs in the high-teens and above 20%, respectively, in the long term, in our view. Asset-heavy businesses (property and infrastructure) typically provide returns in the low-teens. We believe, as a group, its ROE should be in the mid-teens in the medium term. Is there synergy between Keppel O&M and sustainable urbanisation? One of the key questions asked by investors during the NDR was regarding the fit of Keppel O&M in the group, especially now that the rigs market is weak. Management sees opportunities for Keppel O&M to compliment the group by advancing into infrastructure and energy solutions offering to support sustainable urbanization needs. Near-shore floating LNG structures to power remote islands is one of the examples. There is also collaboration between Keppel O&M and the infrastructure division, including the successful development of floating water-cooled data centres. In 2017, Keppel T&T invested in a Californian start-up, Nautilus Data Technologies (Unlisted), which launched a floating data centre prototype in 2015. While waiting for the rig market to recover, Keppel Corp is hopeful of non-drilling contracts, including production units, Jones Act vessels as well as dredgers. We believe operating leverage for Keppel O&M is on the mend, especially with the upcoming US$735m payment from Borr Drilling for five jack-up rigs recently. US$288m is due to be paid in Jun 2018, while the balance purchase price is payable upon delivery of each rig (4Q19 to 4Q20). Keppel Urban Solutions (KUS) was set up in 2017 as an end-to-end integrated master developer of urban areas combining the Keppel group’s capabilities in energy, property, infrastructure, data centres and connectivity to create smart precincts. We see potential in this new division as there is growing demand for smart cities globally. Note that Singapore conglomerate peer ST Engineering (led by electronics division) is a proxy to ride the ‘smart-cities’ structural tailwinds. We believe KUS takes a front-seat role as a horizontal developer for smart cities vs. ST Engineering as a solution provider (e.g. smart metre, smart lighting). We think KUS has planted seeds in Vietnam, the Philippines and China from which it can grow its platform. In Vietnam, Keppel Land is the key brick-and-mortar developer while KUS’s role in Saigon Sports City (SSC) is to collaborate with Microsoft to power the city with Azure, Microsoft’s cloud platform, for the enabling of essential services, such as security and access control, remote monitoring and control of smart infrastructure as well as monitoring of community vitals, such as air quality. SSC is expected to launch 618 and 720 units in 2018F and 2019F, respectively, out of a total 4,284 homes planned. In the Philippines, KUS is exploring opportunities to provide urban solutions for Filinvest City in Alabang, a fully integrated and self-contained 244-hectare (2.4km2) prime property south of Metro Manila that has a large number of business process outsourcing offices, residential enclaves, leisure destinations, an education zone and a medical/ wellness hub. The corporate plan also includes Filinvest New Clark City in Central Luzon, which is envisioned as a pioneering global smart business community in a 288-hectare (2.8km2) area north of Metro Manila. In China, we believe KUS could use Envision China (Unlisted), the second-largest wind turbine manufacturer and the largest offshore wind power solutions provider in China, to develop smart solutions for clean energy.